Jihadist threats from homegrown terrorists rose for the third consecutive month, with at least six people arrested or convicted in August of attempting to launch attacks on behalf of the Islamic State and other terror networks, according to a new congressional report. The increase in jihadist incidents from July brings to 159 the total number of cases related to homegrown terrorism across 30 states since 2013, the House Homeland Security Committee found in its monthly report on terrorism in the United States. "Cases of homegrown Islamist extremism in the U.S. continue to be an issue of concern," according to the committee report, which tracked the first uptick in this type of activity in June following five months of stagnation. Last month, ISIS released a new audio message purportedly from its leader, Abu Bakr al-Baghdadi, calling for more attacks in the West. If verified, the recording is the first to feature al-Baghdadi in nearly a year and disproves Russian reports that its military killed him in an airstrike in Syria. 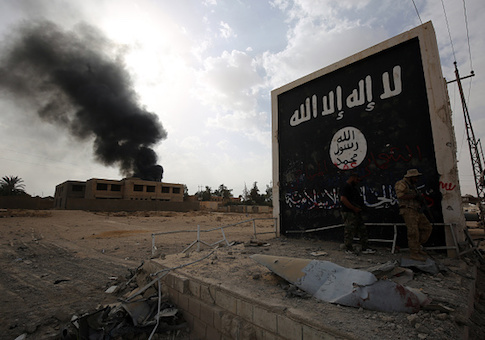 The Pentagon recently said ISIS remains a threat and is "well positioned" to rebuild despite substantial military defeats against the group that led to the collapse of its self-proclaimed "caliphate" in Iraq and Syria. Rep. Michael McCaul (R., Texas), who chairs the Homeland Security Committee, has warned the group still has the capacity to conduct external operations against the United States and its allies. On Aug. 10, a Chicago native now living in Israel was indicted for attempting to travel to join ISIS after traveling with two other people from Chicago to Egypt before reaching Turkey. Faress Muhammad Shraiteh, 21, was denied entry into Turkey, but the other two were granted entry and successfully reached ISIS. Two weeks later, a 25-year-old man living in Florida was indicted by a grand jury for distributing information regarding explosives and attempting to provide material support to a foreign terrorist group. At least one terror plot was foiled in Europe over the same period. Shortly after authorities arrested a Russian citizen on suspicion of planning a terror attack in Germany on Aug. 22, an Afghan asylum seeker seriously injured two Americans in a stabbing attack in Amsterdam. This entry was posted in National Security and tagged FBI, ISIS, Terrorism. Bookmark the permalink.